Men are slim pickings for a single factory girl in Hook, New Jersey…until tall, broad-shouldered hotness walks-or rather storms-into Jasmine’s life. Sarge’s return shouldn’t affect her this way. He’s her best friend’s much younger kid brother, and the kind of rough, gritty, sexiness Jasmine has no right to taste for herself. Even if he lets her. Older sister trope finally gets the dirty story it deserves. Lots of good reviews. I bought it this morning, which is weird because I thought I had the entire Tessa Bailey collection on my Kindle. 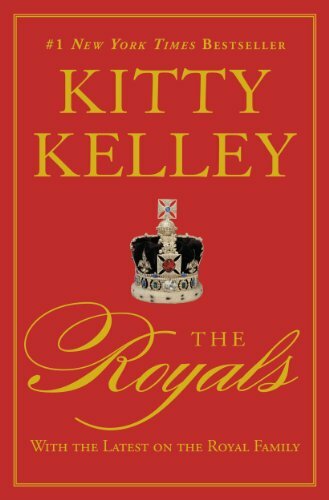 Kitty Kelley, bestselling investigative biographer, delivers a controversial portrait of the British royal family as told from behind the palace walls…perfect for fans of Netflix’s The Crown. They are the most chronicled family on the face of the globe. Their every move attracts headlines. Now Kitty Kelley has gone behind the scenes at Buckingham Palace, Windsor Castle and Kensington Palace to raise the curtain on the men and women who make up the British royal family. Queen Elizabeth, Prince Charles, Princess Diana…here are the scandals of the last decades: the doomed marriages and the husbands, wives, lovers and children caught in their wake and damaged beyond repair. No one is spared. “Some people might think that being ‘furiously happy’ is just an excuse to be stupid and irresponsible and invite a herd of kangaroos over to your house without telling your husband first because you suspect he would say no since he’s never particularly liked kangaroos. And that would be ridiculous because no one would invite a herd of kangaroos into their house. Two is the limit. I speak from personal experience. My husband says that none is the new limit. I say he should have been clearer about that before I rented all those kangaroos. Lawson is beloved around the world for her inimitable humor and honesty, and in Furiously Happy, she is at her snort-inducing funniest. This is a book about embracing everything that makes us who we are – the beautiful and the flawed – and then using it to find joy in fantastic and outrageous ways. Because as Jenny’s mom says, “Maybe ‘crazy’ isn’t so bad after all.” Sometimes crazy is just right. With empathy, grace, humor, and piercing insight, the author of gods in Alabama pens a powerful, emotionally resonant novel of the South that confronts the truth about privilege, family, and the distinctions between perception and reality—the stories we tell ourselves about our origins and who we really are. Readers and critics seems to love this book. I’m buying it. 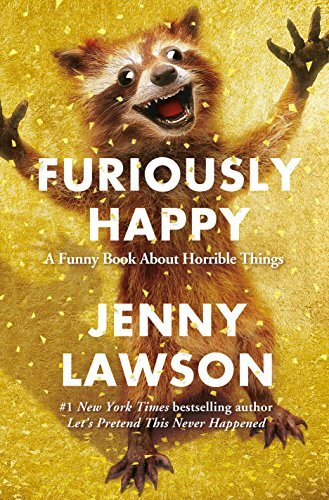 I enjoyed Furiously Happy quite a bit. I recommend downloading the sample and seeing if her humor is for you. I follow and read Jenny Lawson and think she’s the bee’s knees. So wonderfully and strangely creative, inventive and funny, I always feel better about everything after reading her observations. 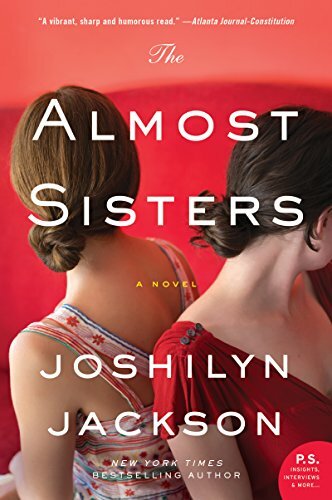 ALMOST SISTERS was one of my favorite books from last year, which surprised me. I think you’ll enjoy it, and all those secrets. The Joshilyn Jackson is $27 on kindle for us in Australia. That’s an astounding price. I want the book but nope at that price. @Flora: £7.99 here in the UK. Won’t be buying it at that price. Sorry ’cause it sounds intriguing.